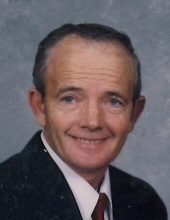 John W. LaRue, 75, rural Chanute, died at 10:10 a.m., Sunday, in the emergency room of Neosho Memorial Hospital in Chanute. He was born December 4, 1943, at Chanute, to James Homer LaRue and Fleta Marie (Brookshire) LaRue. He grew up in the Shaw area, attended the Piatt School and graduated from Erie High School in 1961. After attending Chanute Junior College he enlisted in the Kansas National Guard, serving four years as a reservist. On June 8, 1963 he and Dorothy M. McDermed were married in Erie. He has farmed nearly all his life, raising beef and crops and operating a dairy. He enjoyed horseback riding, quail hunting and playing steel and Spanish guitars. He was a member of the Shaw Christian Church and served on the boards of the church, levy district, rural water district and Shaw Cemetery. He had made two mission trips to South Africa and occasionally conducted church services and funerals. Surviving is his wife, Dorothy, son, Doug LaRue (Nicha), of Erie, daughter, Melinda Dent (Rob), of Pleasanton; five grandchildren; three step-grandchildren, a great-grandchild; three step-great-grandchildren; sister, Carole Hazen (Ken) of Kapaa, Hawaii; two nephews and a niece. Preceding him in death were three infant daughters, twins Julie and Joan and Cathy, and a granddaughter, Citori Dent; and a brother, Jim LaRue. Funeral services will be at 10:30 a.m., Thursday, at the Pierce-Carson-Wall Funeral Home of Erie. Burial will be in the Shaw Cemetery. There will be informal calling hours at the funeral home in Erie from 1 to 8 p.m., Wednesday. Memorials are suggested to the Shaw Christian Church or the Cherry Street Youth Center in Chanute. They may be left at or sent to the funeral home at Box 182, Erie, Kansas 66733. To send flowers or a remembrance gift to the family of John W. LaRue, please visit our Tribute Store. "Email Address" would like to share the life celebration of John W. LaRue. Click on the "link" to go to share a favorite memory or leave a condolence message for the family.